The Snomad Ski and Snowboard Club is an adult Ski club. On our background page, we'll introduce our club and give some examples of the types of activities we're involved in. Be sure to get in touch to offer comments and join our mailing list. We meet at the Angry Brothers Pub, 6501 Washington Avenue, Racine, WI. at 7:00 P. M. see upcoming events for dates. The 2019 Western Ski Trip information has been updated, select the Ski Trip tab above. 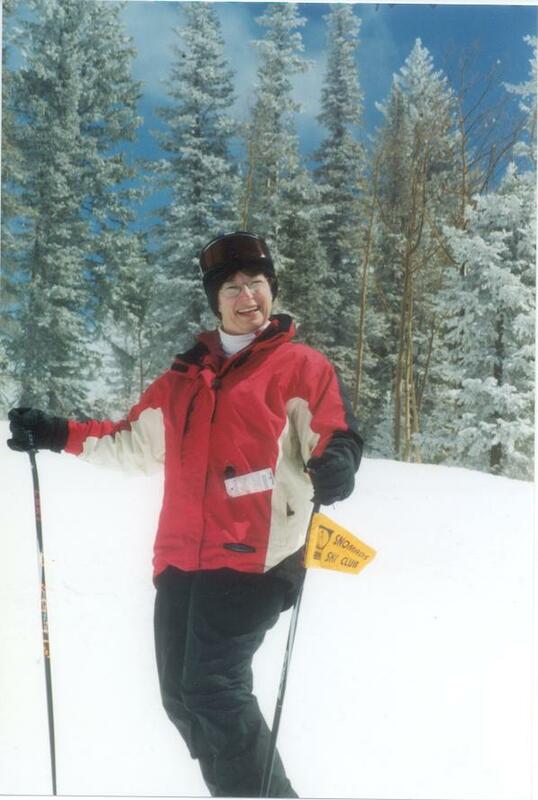 Here is one of our many members enjoying a day of skiing. We also bike ride and golf. But our main enjoyment is skiing.